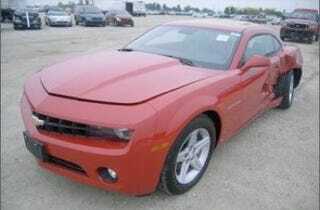 Want a cheap deal on a 300 HP V6-engined 2010 Camaro? Here's the second one to meet with some serious damage for only $16K. What a deal to let your mullet meet the open-windowed wind! One more pic below. Rental Car Reach-Around: First Avis Camaro Wreck!